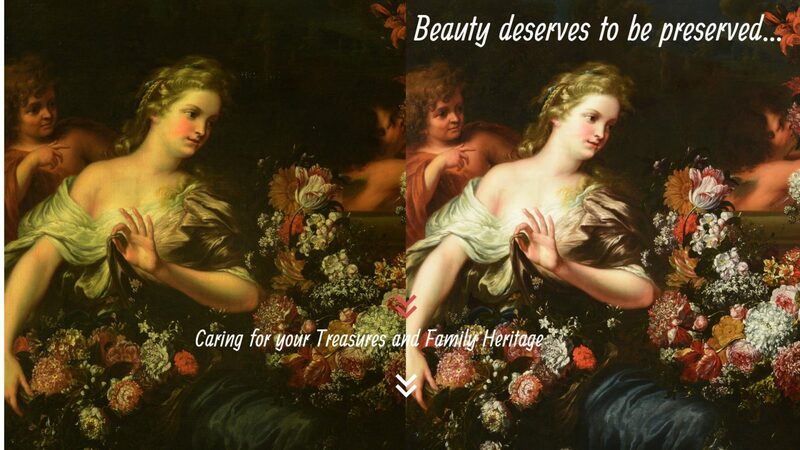 We believe that our role as art conservators goes beyond the mere restoration of artworks: It is an act of trust given to us to bring back to light the creativity of an artist, as well as the unique character and significance of their work of art. 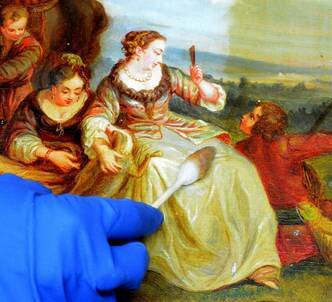 Stella Art Conservation has a long history of art conservation. We are specialized in museum-quality art restoration and conservation of paintings, statues, artifacts and other artworks, from ancient to contemporary age. Considering our meticulous and informed approach to art conservation we have gained an international reputation for excellence and we receive art conservation works from throughout North America and Europe. Our team also travels on-site. Art conservation and restoration of ancient, traditional, modern, and contemporary paintings, providing skilled treatment on paintings from all artistic genres and periods, from Byzantine to contemporary age. Art conservation and restoration of wall paintings, frescos, and beaux-arts temperas. We provide disaster recovery services for art collections requiring treatment in response to fire, water mold, wind, and accidental damage to minimize loss and respond most effectively. We prepare condition reports and provide scientific analysis of your artworks to assess the health of your treasure, uncover damages, identify previous restorations, discover potential issues, or to submit to your insurance company. 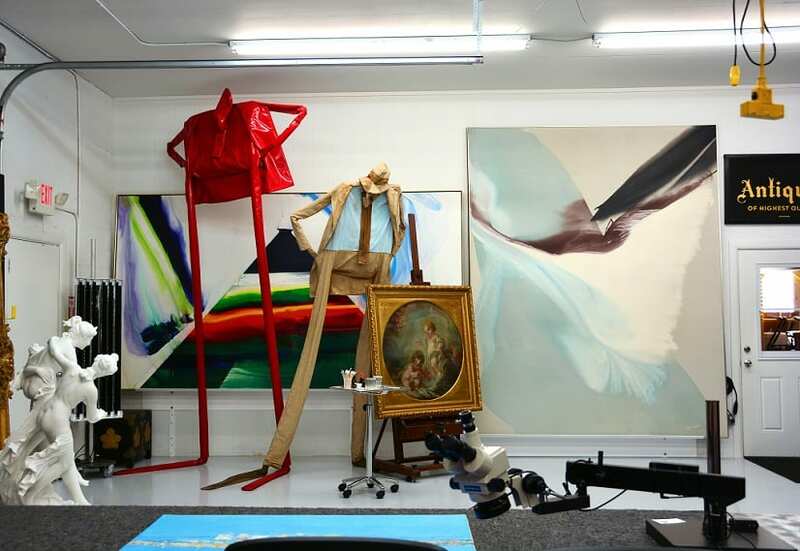 We provide disaster recovery services for art collections requiring treatment in response to fire, water mold, wind, and accidental damage to minimize loss and respond most effectively. Disaster recovery is key to protect your art. We work with Fine Art Insurances to protect your artwork. We provide preventive conservation and collection advice and maintenance. Being an Antique Dealer and working with pieces of high quality and value, it is not always easy to find a professional conservator restorer. Having worked with Barbara, I can say that her knowledge and expertise is very impressive. She respects each piece knowing how far to go and which technique to use. Guarisco Gallery is please to use the professional services of Barbara Stella Conservation and highly recommend her high quality work, meticulous work ethic, and gracious and enthusiastic attitude. Established in 1981, Guarisco Gallery is one of the largest and leading 19th, and early 20th century, art galleries worldwide. 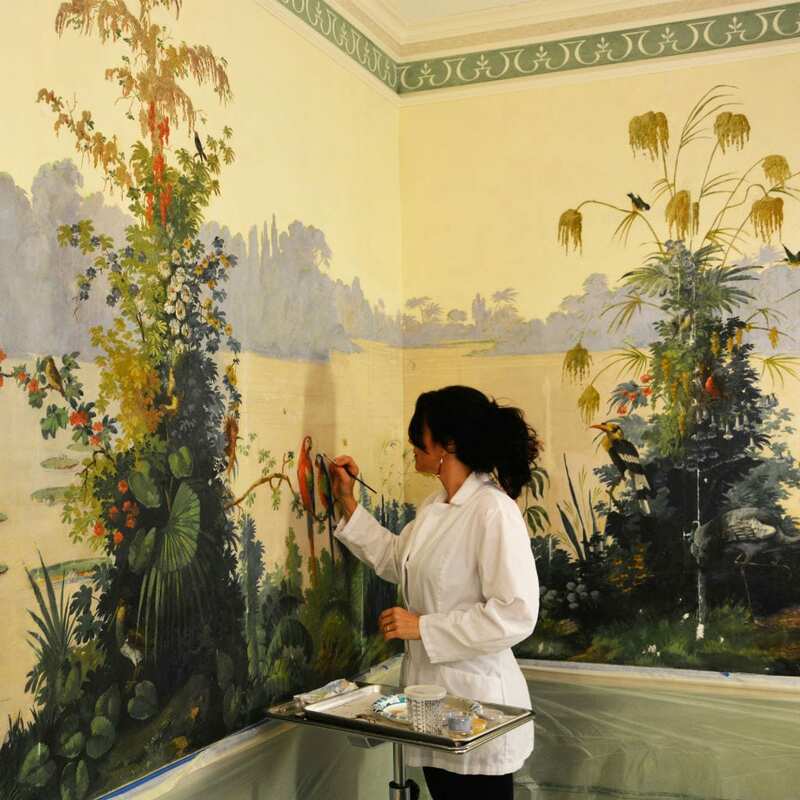 It is extremely important that we provide our clients with superior quality restoration and conservation services that meet the exacting standards of noted art professionals and leading international museums. Barbara at Stella Art Conservation is absolutely the best at what she does. I have had more than a dozen oil paintings restored with her company with cleanings, repairs and revarnishing. The result has been a special collection of paintings. They seem to be able to solve all problems! First Class. Barbara Stella is a consummate professional in art conservation and restoration. She is detailed and talented, and has an impressive knowledge and conservation skills. She has restored two large contemporary paintings from my art collection.